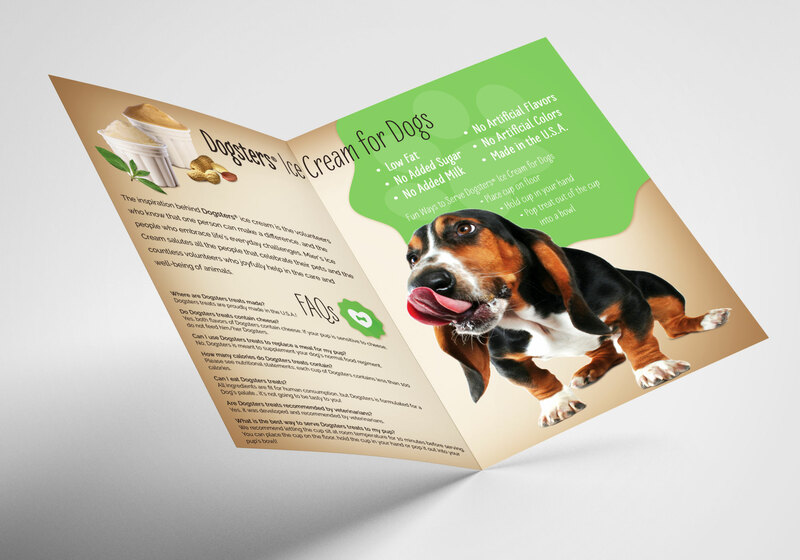 Even dogs can use a cold treat on a hot summer day! 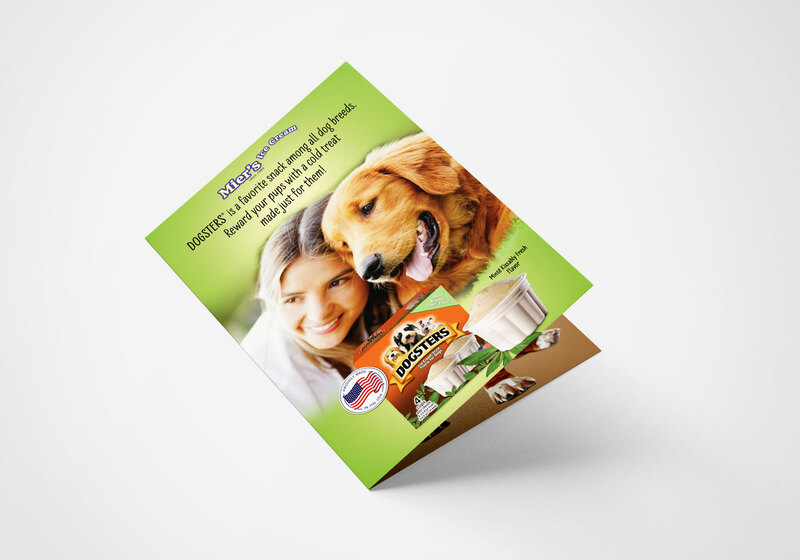 Dogsters® by Mier’s Ice Cream is sure to be a nice change to your dog’s daily meal routine. 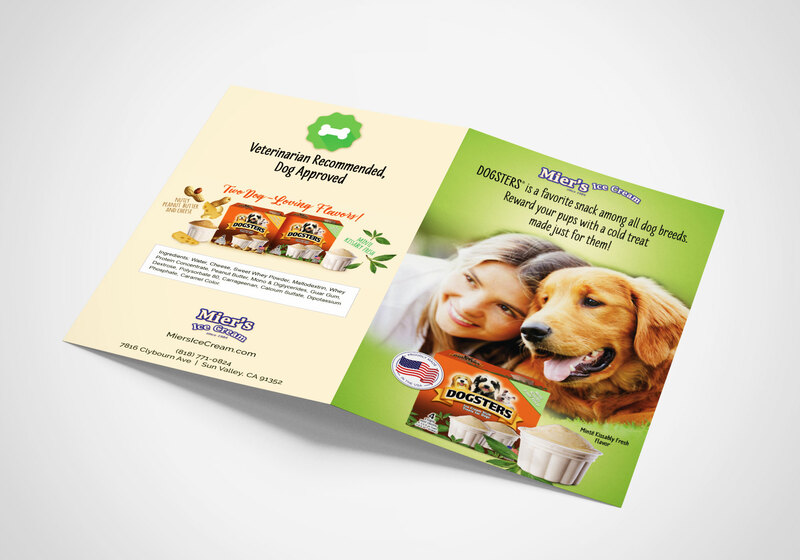 This bifold flyer/brochure was design with the Dogsters® brand in mind to showcase to potential vendors in Southern California.